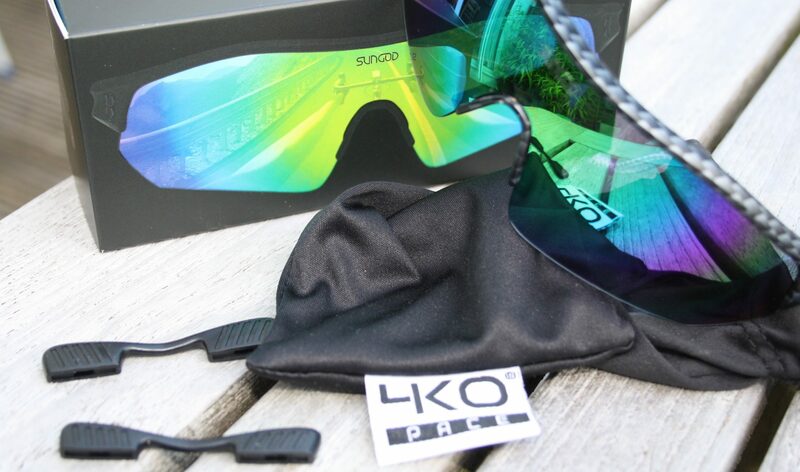 SUNGOD are now on their fourth model of sunglasses – here this SunGod PaceBreakers review looks at the latest model release in August 2017l. 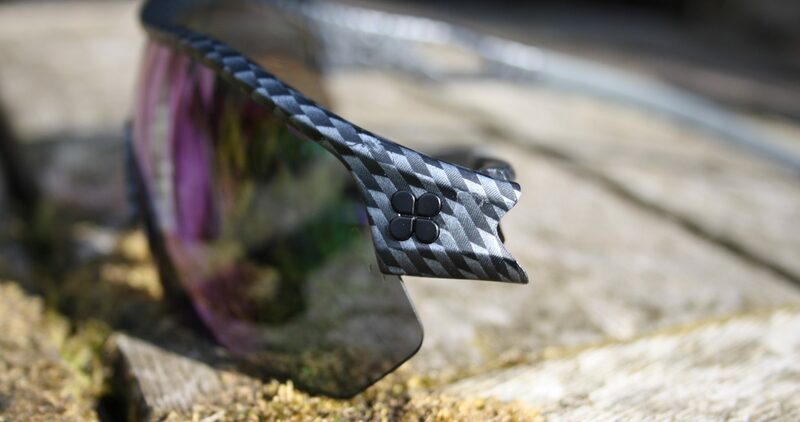 Other than being sports-specific, perhaps two of the other reasons for their popularity have been the ability to customise every pair of sunglasses and do that at a competitive level of pricing. In my youth, I probably considered myself as a bit of a SUNGOD but the realisation of the damage that sunlight can do has caused me to be more sensible these days. Moving on in years to triathlon sports, the frequent need for sun protection and other factors comes in to play when considering the amount of time we spend in the sun. There is usually someone in the pool in March or April who asks me where I’ve been on holiday. Almost always my honest answer is “The Thames Towpath“…I go brown easily. Although if you consider up to 10 hours of outdoor training each week then that is a fair amount of sunlight exposure. I have eyes that are sensitive to bright sunlight and to reflections off water, so I might wear sunglasses when I run on such days. Polarised lenses seem to help reduce the discomfort from reflective surfaces. When riding a bike in the rain I wear clear lenses. My favourite is a pair of £3 DeWalt eye protectors from ScrewFix Direct. These seem necessary to stop bits of grit getting into my eyes from spray when behind someone else but that’s about it. I would freely accept that they do NOT look cool. Similarly in the summer, being near rivers and parkland, there is the annual problem of bugs – the flying kind. I have some rather nice Oakley sunglasses but they are more the metal-and-glass type. They are quite expensive and I don’t fancy a piece of broken glass in my eye in the event of a crash. Hence the ‘need’ for a sport-specific model. I get hot when exercising. Sunglasses do NOT generally cause me any problems when running. When cycling, however, many sunglasses seem to stop forehead sweat from evaporating before it gets into my eyes. Invariably the glasses have to come off and it seems pointless to have brought them in the first place. All the lenses offer 100% UV protection and, as part of the customisation process, you are given information about the suitability of each lens colour/type for various light conditions as well as an indication of the Visible Light Transmission (VLT) index – ie how dark they are! The polarized lenses let though significantly less light. Here’s an example of what you are shown for the Polarized SMOKE lens (the one I have). The same with the SUNGOD icon. Blend it in…or make it stand out. Your call on the colour. ie the glasses; a box, microfiber cleaning & storage pouch; and 2 spare & differently-sized nose pieces. SUNGOD frequently mention their “4KO” lenses – ie 4k optics, presumably wordplay on 4k video. Either way, they have their own lens and that is the branding for them rather than any wider-market standard for lenses. The lens is made of Polycarbonate and has a degree of impact resistance. Advanced polarised filter for enhanced optical clarity and precision (optional). Upside down. Kinda helps? Maybe? Here they are from the side and they really are both the same distance from the camera. Personally, I would choose the smaller-framed sunglasses for ‘casual wear’ but, as we shall soon see, for sports’ usages the SUNGODs outperform regular sunglasses on a number of fronts. When you initially wear the glasses on a bright day you get the clarity you would probably get from similar sports lenses. It seems good to me. And, as with other polarized lenses, the clarity can be increased eg if looking at clouds. Similarly polarized lenses reduce light reflected off the water – although I didn’t try out on a wet road on a sunny day I’d imagine they would be good there. Overall the experience in workouts whilst producing this SunGod Pacebreakers Review was great. I’ve had over 20 hours of workout usage so far and only one small complaint to add to lots of praise. The SUNGODs are promoted as sports-specific and, as a generalisation, I would agree with that. My first concern was that the large lens would reduce airflow over the face when cycling. That’s not quite how it turned out as the lens is held further away from the head than a smaller pair; the latter perhaps almost seeming to sit more deeply into the eye socket. So SUNGODs offer improved airflow over all my regular types of eye protection. And, for the record, I did specifically test that out over a 20 minute cycling time trial ie a maximal effort. I expected the polarized lens to cause me great difficulties when navigating using a cycling head unit and/or just looking at the head unit. My initial thoughts being that the polarized and darkened lens would significantly restrict what could be seen. BUT what actually happens is that, because the lens is held off the face, you can just look down and see an out-front mounted head unit UNDER the glasses ie you don’t look at the head unit through the lens, you look under the lens. Cool! Again I specifically tested this on an 8-hour trail navigation ride. Weighing in at 27g they are super-light … and comfortable too. Fancy a bike computer to accompany you on a ride? There is a “lifetime guarantee against breakage” – I’d check the small print on their site when you buy but it looks like it genuinely covers the frames but would not, for example, cover a scratched lens. Flexible frame – SUNGOD brand their frame as ‘Adventureproof’ and they are made with a material they call TR90 memory polymer. The frames do maintain their shape when flexed and seem to tolerate a few cms of flexing with no ill effects, although I had no intentions of testing to anywhere near breaking point. Sunglasses that sit further off the face, like these, are less likely to suffer fogging. The specific model I had was not great when on a trial under trees with mixtures of sunlight and shadow from the tree cover. These are fairly demanding light conditions for most lenses and a lighter colour/higher VLT would have been more suitable for that specific use-case scenario. The lens is clearer towards each outside edge. This might aid visibility and light transmission. EU and International Shipping options are offered. Thanks for the review! 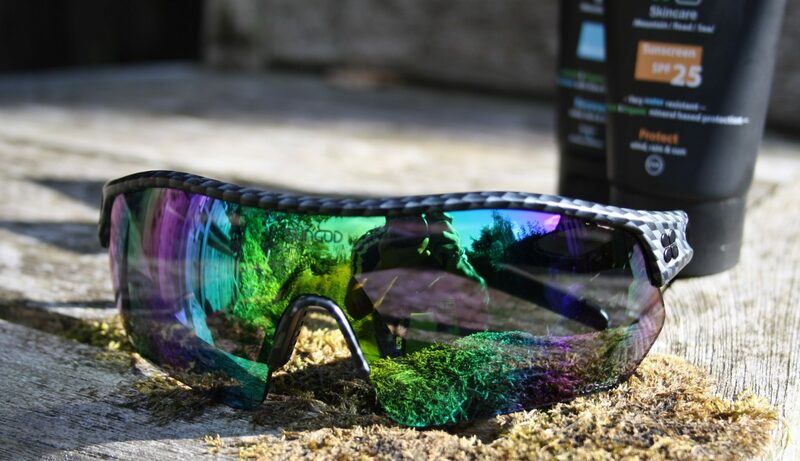 By chance have you ever tried Oakley’s Radar EV sunglasses? Was wondering how SUNGOD’s PaceBreakers compare to them in terms of fit and clarity. I have some oakleys but not that model, my OAKLEYS (which I love) are the metal-framed type. The SUNGOD are certainly cheaper than the RADAR EV. The SUNGODs also look bigger whereas the RADAR look more ‘normal sized’ – you’d need to consider readability through the lens of the RADAR if it sits closer to the face.